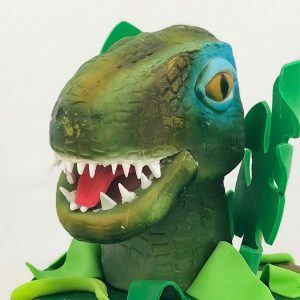 We went all Jurassic this week in the bakery! 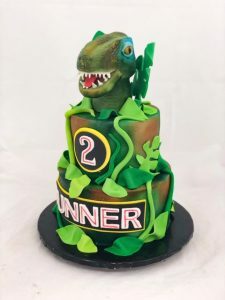 To celebrate Gunner’s 2nd birthday, his family wanted him to have a cool dinosaur cake complete with a T-rex coming out of the top. So we started by sculpting the dino head out of rice cereal treats. 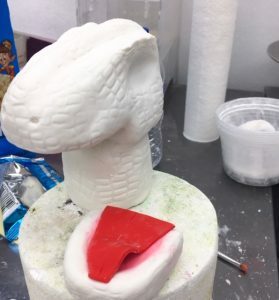 We then covered it in fondant and gave it a scaly impressed texture. For the cake, we iced it smooth in buttercream and airbrushed it to give it an almost camouflage look. We then added fondant foliage and vines in various shades of green. 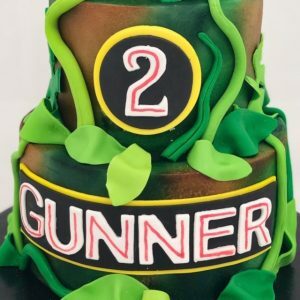 We added Gunner’s name and age to mimic the look of some famous dinosaur movie writing, so it would stand out among the foliage. We then completed the dino head with airbrushing, sharp fondant teeth and all the extras. 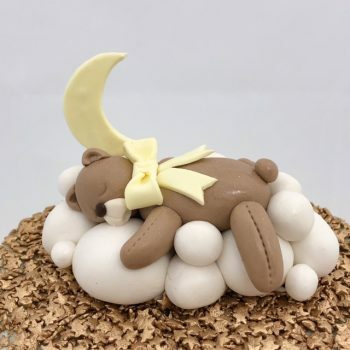 Once the jaw bone was attached and the head had dried, we were able to place it on the cake among the fondant leaves and vines. We think Gunner will be happy with the finished look. 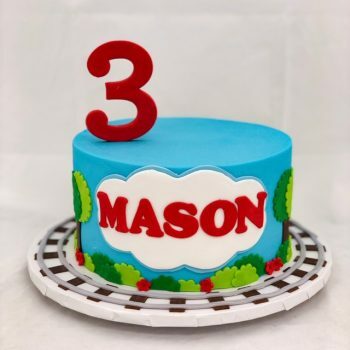 Pretty cool cake for a 2 year old! !